What happens when a group of women all come together? Do you know? Well I’ll tell you, magic and greatness is created. Today, I had the pleasure of attending a healing event. 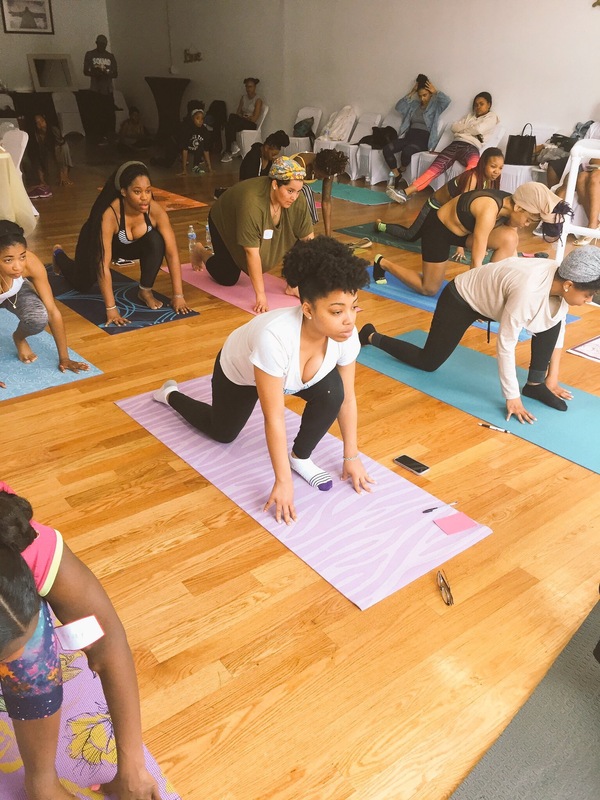 This event curated by Kierra and her brand “Nirvana 211” aimed to bring women together to have open discussion, and participate in activities geared toward each chakra for the healing of women. There are always positive vibes and inspiration that flows through the air when women gather and share experiences, goals, and differen t personalities. That’s just what happened today; the events took place as listed above and were fun and liberating. It’s important and great to have a space to unwind, connect, regain, and reconnect. Unwind your soul, body, and spirit, Connect with others you may not know. Regain your sense of self, and Reconnect with your soul, body, and spirit. Events like these aim to bring awareness to self while allowing and creating a space to network and brand. This was Kierra’s first event and she did a great job of bringing together dope vibes, inspiring, and bringing that awareness to self that we sometimes need a push and reminder about. Shout out to all the women uplifting women, as the saying goes, you can tell who all the strong women are; they are the ones you see building each other up, instead of tearing them down. All in all this was a great event and one I look forward to attending in the future. 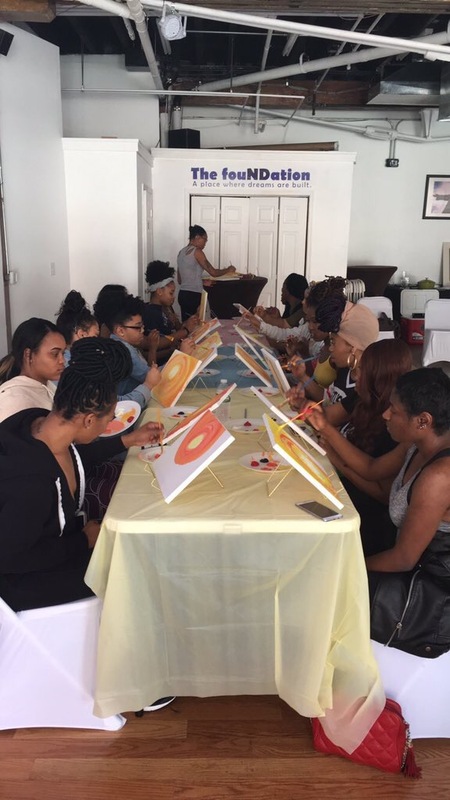 Breakfast was served, great conversations were had, there was space created for networking, and we were able to paint; yoga was a great fit and much needed addition. The presentations on the Yoni egg, Essential oils, and better eating habits has me motivated to make changes in my life. If you wish to be updated on when it takes place you can follow Kierra on social media. Remember, self-care is important. Today, I challenge you to set some time aside and listen to not only what your body wants and needs but your soul wants and needs as well. You matter, you are important, and you are here for a reason. If you don’t know your purpose listen to that tiny voice in your head, listen to your heart. Choose what makes you happy. For more posts on motivation, inspiration, and empowerment please consider subscribing to my blog and feel free to follow me on Instagram, “like” my Facebook page, or connect on LinkedIn.